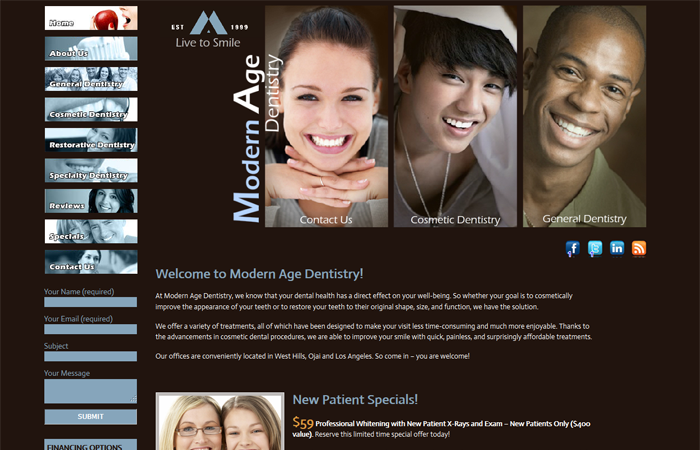 At Modern Age Dentistry, we know that your dental health has a direct effect on your well-being. So whether your goal is to cosmetically improve the appearance of your teeth or to restore your teeth to their original shape, size, and function, we have the solution. We offer a variety of treatments, all of which have been designed to make your visit less time-consuming and much more enjoyable. Thanks to the advancements in cosmetic dental procedures, we are able to improve your smile with quick, painless, and surprisingly affordable treatments.